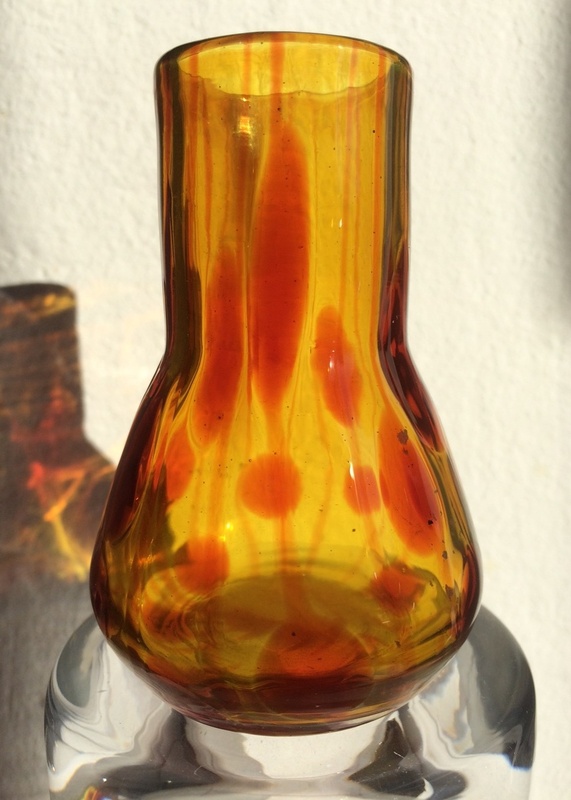 In a group of 10 vases (termed Konvolut in Germany) at an auction I spotted this tiny Helios and really went through the entire bidding procedure and expensive shipping for a 3.5'' miniature. Although I am really grateful to Warren and Deb for determining the real name of this decor and separating it from the Ausf. 122, my fascination with it dates back to my first visit to Passau. 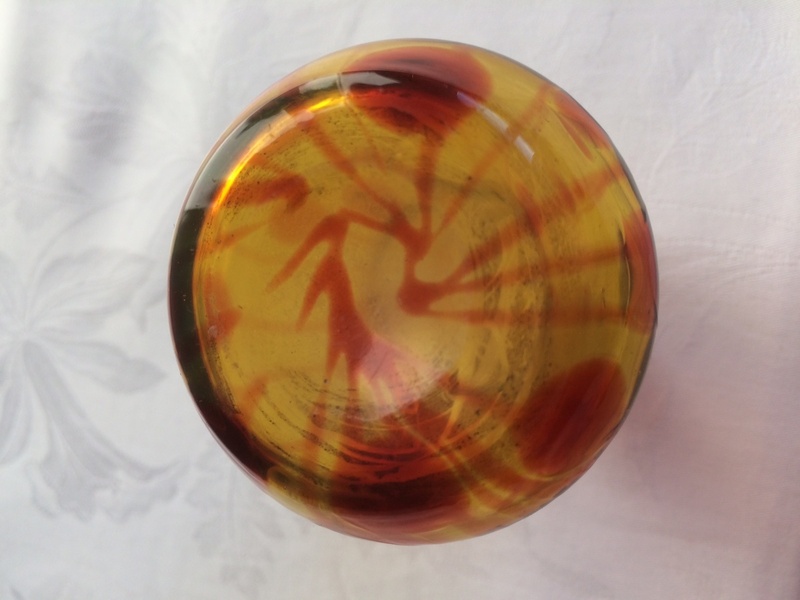 In spite of all the wonders that can be seen there, I remember saying to a collector friend afterwards: "They even have a yellow and red Streifen und Flecken, but the spots and lines are melted into the ground glass!" 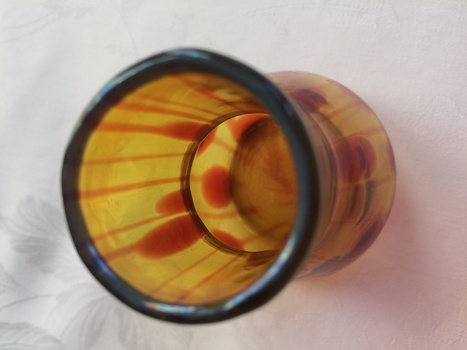 I love it also because in such small dimensions it has everything a "grown up" vase would have - a fire polished rim, a pontil, and an opal quality inside, especially around the top. And it is highly iridescent, to the point of being impossible to photograph (for me, certainly not for the more skilled & better equipped among you). Hi Mac, I neglected to add my usual disclaimer that this post was written by my colleague Andy Jelcic of Croatia. Unfortunately it is not in my possession.